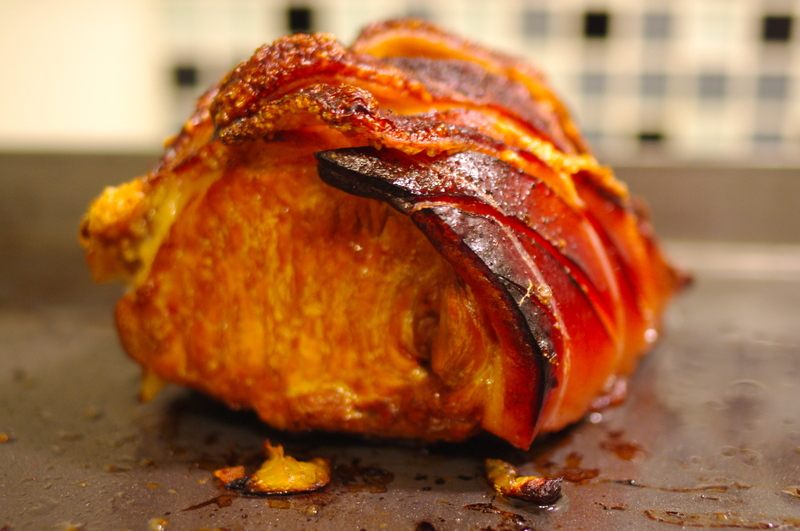 Slow Roasted Pork in Cider. 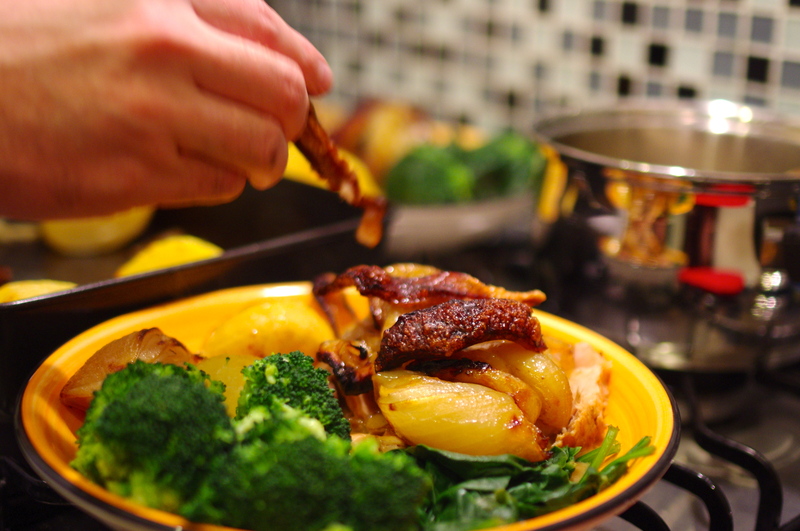 This week I swapped my apron for a pentax while my husband prepared a mouth-watering Sunday lunch. It was hard to concentrate on the photography with the lovely fruit fragrance and meat perfume wafting through our house. I have to confess this is the best pork I have ever had. The secret is in the slow roasting which leaves the meat so tender every bite is heaven. 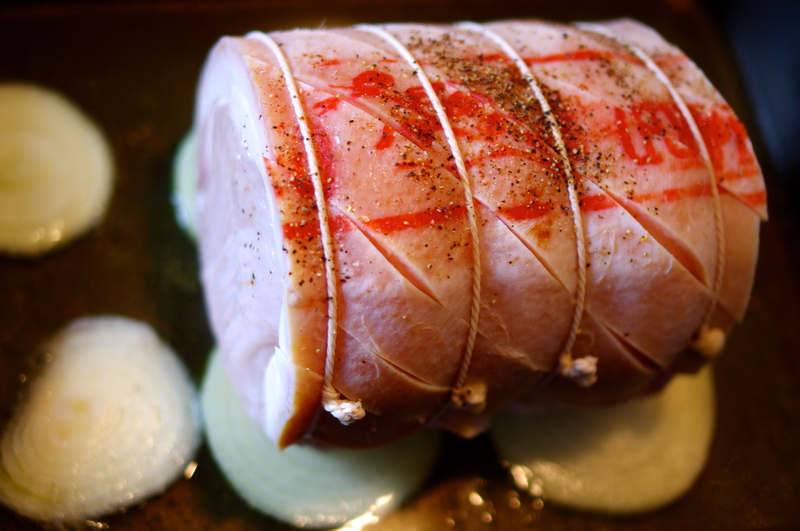 Slow cook recipes are currently all the rage and this pork dish certainly won’t disappoint. The only downside for my husband is he is now in charge of roast pork forever. 1) Soak the pork in water for 1 hour to remove the salt. 2) Preheat oven to 160C. 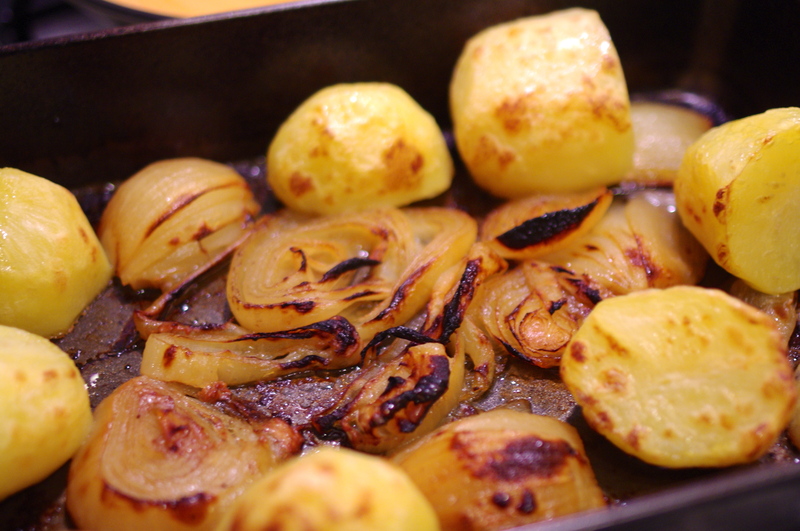 Place the pork and onion cut into quarter chunks into the roasting tray. Rub with a little olive oil, salt, pepper and cinnamon. Pour over the cider and roast in the oven for 3.5 hours. 3) Peel potatoes and cook until tender. Drain and set to one side for later. 4) 1 hour before you are due to take the pork out of the oven heat a large glug of olive oil in a separate roasting tin. 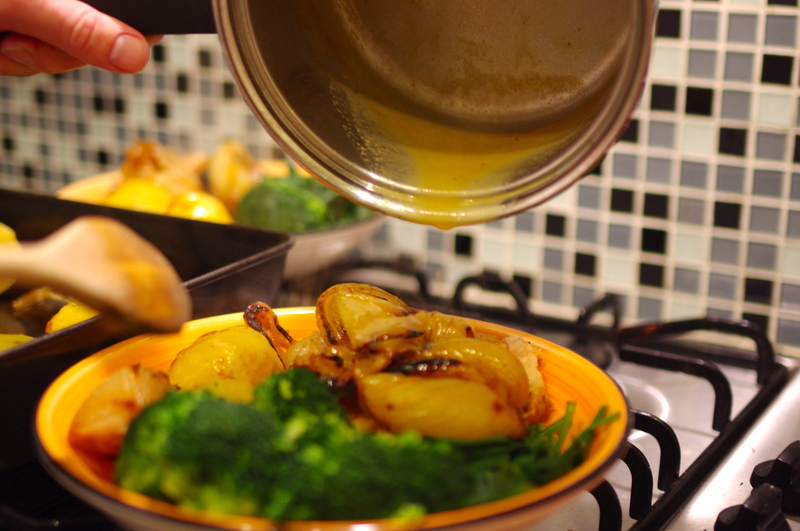 When the olive oil is hot add the potatoes and roast for 1 hour. 5) Fifteen minutes before the pork is ready bring a saucepan of water to the boil. Add broccoli and simmer for ten minutes. Simmer spinach in a separate pan of boiling water for two minutes. 6) Remove pork from the oven 10 minutes early, cut off the strings, and cook under the grill on very high for ten minutes so that the crackling is nice and crispy. 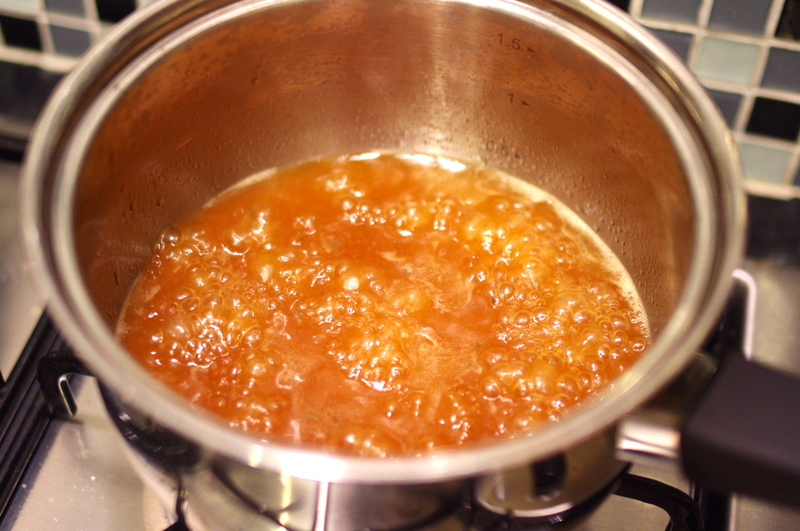 Meanwhile drain the juices, pour into a saucepan and reduce then keep warm over a low heat. Stir in a beef stock cube and a good glug of double cream. 7) Remove pork from the grill and stand to cool for a few minutes before carving. 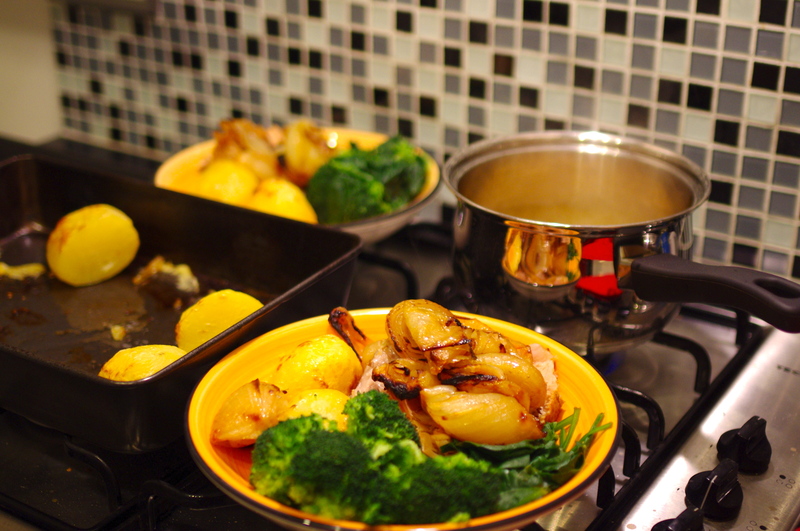 Serve pork with roast potatoes, spinach, broccoli and cider gravy. Delicious!